Today is the kickoff for the next big season in the Smoky Mountains – our longest tourism season in the year – Winterfest 2018! As is tradition in Gatlinburg, we celebrate Winterfest with a Chili Cookoff in downtown Gatlinburg between Ripley’s Aquarium of the Smokies and Ripley’s Believe It or Not! Museum. This event is so big that the city of Gatlinburg shuts down a whole section of the downtown parkway just to hold it. The first part of the event is the chili cookoff where dozens of tables featuring dozens of local restaurants (as well as those from abroad) set up to serve all-you-can-eat chili. The purchase of an admission “spoon” is you all need to enjoy the best chili in the Smoky Mountains. Then later the switch will go on and BOOM, Gatlinburg will finish putting on the last of the Winterfest lights with their own trolley tours to follow. 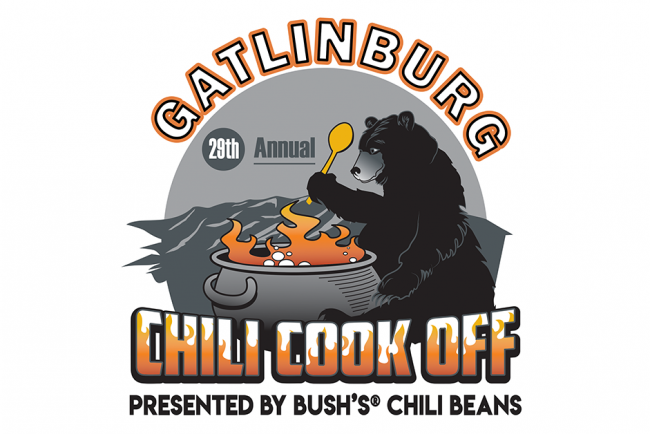 “Offering mouth-watering recipes of homemade chili ranging from mild and delightful to wild and adventurous, the City of Gatlinburg hosts its annual Chili Cookoff presented by Bush’s Chili Beans on Wednesday, November 7 from 5 to 8 p.m. in downtown. Festival-goers will enjoy free, live entertainment offered throughout the event. Get more information on this event at https://www.gatlinburg.com/event/winter-magic-kickoff-chili-cookoff/.